Adobe Flash Player nicht installiert oder älter als 8.0.22! This is our heaviest grip. Used more for those aggressive riders; downhill speed riders and heavy sliding. 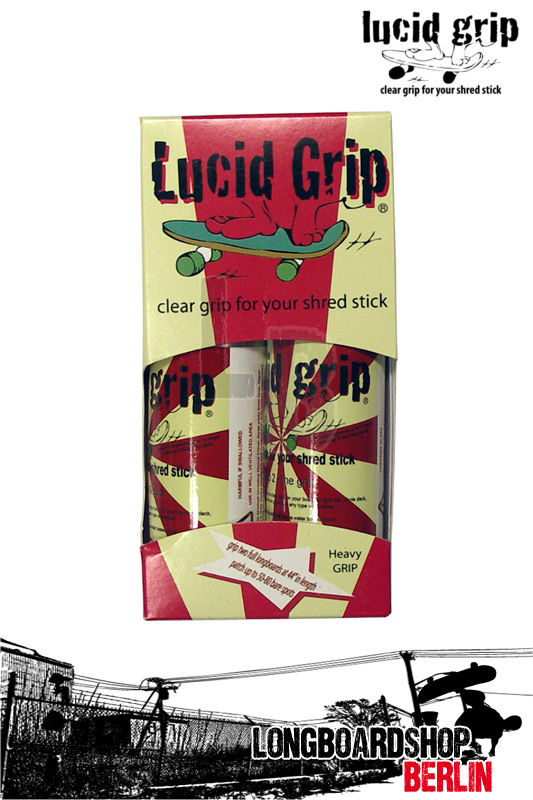 - Step 1 "The Liquid"
"Clear grip for your shred stick"
Whether you need to patch up a bare spot on your board or grip a whole new deck Lucid Grip works well on all styles of skateboard decks. Lucid Grip is a two part application and takes between 30 to 40 minutes to dry.